Elliott Light grew up outside Washington, D.C. in McLean, Virginia before the beltway encircled the capital city, before farms were turned into housing developments, and before open fields became mega-malls. He claims Thomas Jefferson, President of the United States and author of the Declaration of Independence, as a cousin; John Marshall, Chief Justice of the U.S. Supreme Court, as an uncle; Robert Morris, signer of the Declaration, the Articles of Confederation, and the Constitution, as a grandfather; and Joe DeJarnette, a prominent eugenicist, as a great-uncle. The small town of Lyle is his creation and reflects a mixture of true life and fiction drawn from the place he grew up and the places his relatives lived. Light attended the University of Virginia, receiving degrees in Electrical Engineering and Law. He has several patents to his name. After stints as an environmental lawyer and a high tech lawyer, he practiced patent law in a private law firm. 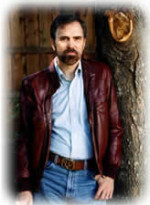 Now retired, he resides in Naples, FL with his wife, Sonya, and their much beloved cats. 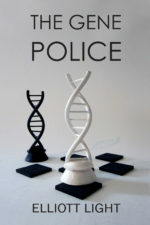 The Gene Police is his third published novel. The murder victim, Jennifer Rice, is a famous photographer. Curiously, photographs of Shep’s farm and the elderly residents who once resided there were found at her house. All Reggie wants Shep to do is to ask the previous residents if they remember anyone taking pictures at the farm or if they saw a woman with a baby. But simple requests are not easily contained. As Shep soon learns, the request brings him to the top of a slippery slope with an ill-defined edge. Question begets question, and the slide down the slope proves inevitable: What happened to the baby? Who took it? Why was he taken? And who killed Jennifer Rice? When Shep learns that the child, known as Baby John, was born at a hospital run by Alton Nichols, a famous Virginia eugenicist, he is drawn into the dark history of the American eugenics movement, a pseudo-science used to justify racial bigotry and white supremacy. As Shep puts together the jigsaw of clues, he becomes convinced that the seeds of Jennifer Rice’s murder were sown fifty years earlier by men obsessed with skin color and racial purity. Worse still, Shep decides, the ghost of that obsession has yet to fade.